Looking For The Best Toilet Cleaner For Your Home Or Office? Tired Of Paying Full Price For Toilet Bowl Cleaner? TouchFree Concepts Is Here For You! TouchFree Concepts Knows How To Clean A Toilet And Keep It Clean With The Best Toilet Bowl Cleaner For Your Toilet Or Urinal. FREE SHIPPING On All Orders Over $50. No one enjoys cleaning toilets. No one enjoys paying full price for the best toilet bowl cleaner, either. Why pay full price when shopping for toilet bowl cleaner, bathroom cleaner, or any other cleaning supplies when you can save on the best bathroom cleaning products at TouchFree Concepts. Keep your toilet cleaning inside your budget and save with FREE SHIPPING on all major brands to keep your bathroom clean and fresh. You do not have to hire janitorial services frequently to keep the urinals and toilets of your commercial place clean and hygienic. If you use the right products, you will not only save on the toilet cleaning supplies; you will also spend less on janitorial services. Now new innovative technologies are being used to keep all parts of your restroom clean and odor free. 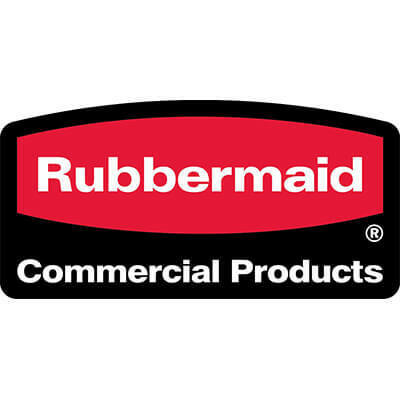 Rubbermaid is a well established name in the field of washroom cleaning systems and supplies. It makes a wide range of products for this purpose. Take advantage of these products to keep your bathroom and washroom clean and usable. Take the example of Rubbermaid AutoClean Dispenser which is available in polished chrome. It automatically cleans fixture surfaces using its sensors and battery operated mechanisms. The restroom will remain odor free when the unwanted smell is eliminated at the source itself. AutoClean system is easy to install and can be installed quickly. Once you have installed everything correctly and attached its cleaning liquid bottle, it will dispense the required amount of cleaning solution automatically every time the toilet is used. The efficient use of cleaning fluid ensures savings in the cleaning supplies and battery power. The cleaning solution reaches all areas including the rim holes. The complete fixture is cleaned thoroughly. Its automatic delivery system can be programmed according to your needs. You can set its settings after taking into account how frequently the restroom is used. You are going to need Rubbermaid AutoClean Mandarin Orange Cleaner and Deodorizer Refill to use this automatic dispenser. This cleaning solution is available in a pack of six bottles. Made from safe chemical ingredients, it dispenses fragrant liquid to completely clean and deodorize your toilet. Your toilet cleaning chore will become easier once you start using this solution. When a toilet is cleaned automatically every time, there is less need for frequent cleaning. Water and cleaning liquid are used efficiently in this process. Rubbermaid AutoHygiene system for toilets is another innovative device from Rubbermaid. It keeps your restroom clean and hygienic with the help of its automatic innovative technologies. The urinals and toilets at your commercial establishments will be flushed automatically. All such fixtures will remain clean and odor free at all times thanks to this advanced device. It flushes the fixture and dispenses the cleaner/deodorizer at the same time. Now you do not have to worry about the users not flushing, under-flushing or over-flushing the toilet and urinals. When the flushing process is automated, you can forget about spending hours cleaning your bathroom and restroom. Use this simple and automatic cleaning system to keep urinals and toilets of your restrooms clean, hygienic and odor free. In areas where hard water is a problem, buildup of calcium and scaling on the inner surfaces of pipes and joints can be a big problem. Use Rubbermaid AutoClean Purinel Drain Maintainer and Cleaner to tackle this problem. This refill is available in a pack of six bottles and does not have any scent. It will keep your fixtures clean and simultaneously help avoid buildup of scaling. Take advantage of all these products to automate the cleaning of your toilets and urinals. Use your toilet cleaning supplies more efficiently with the help of these automatic flushing and dispensing systems.